It’s time to get excited for Greece and the 3 best hostels in Athens. 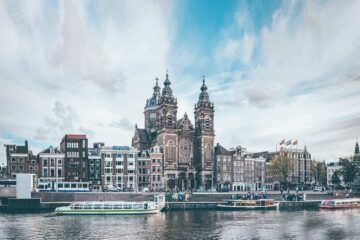 This capital city is a real mix of ancient and modern world, a treat for historian lovers and solo travellers. If you’re looking for epic Greece hostels, look no further. 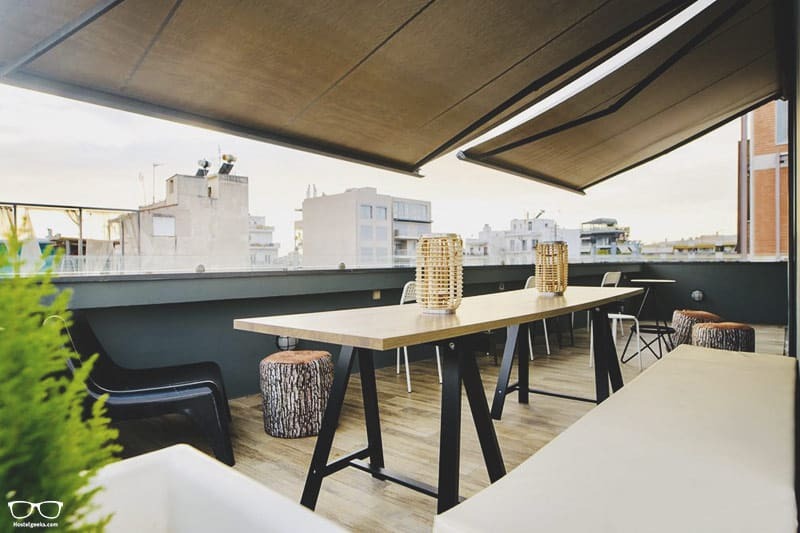 We’ve handpicked cool Athens hostels with rooftop areas, cosy dorms and homely vibes. 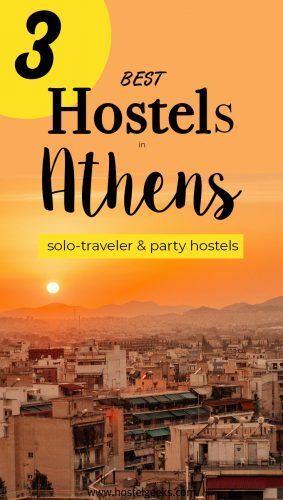 And yes, you will find a section on the best party hostels in Athens. Looking for 5 Star Hostels? Sadly we don’t yet have one in Athens. 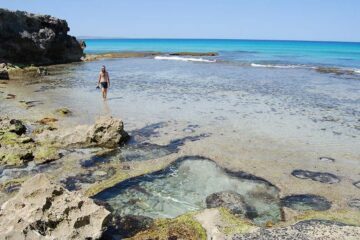 Yet, you can find the two 5 Star Hostel Caveland Hostel in Santorini and STAY Rhodes in Rhodes Island. 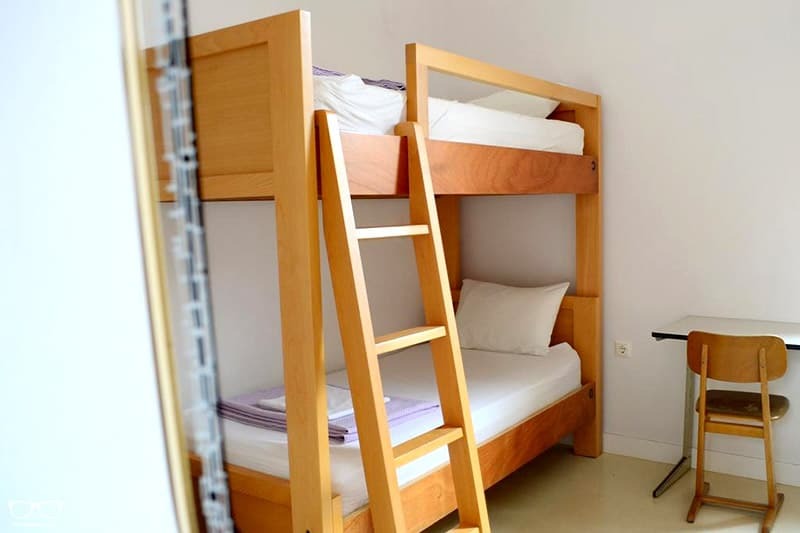 Average price for a bed: A bed in a dorm can be as cheap as 11€ up to 18€ per night. 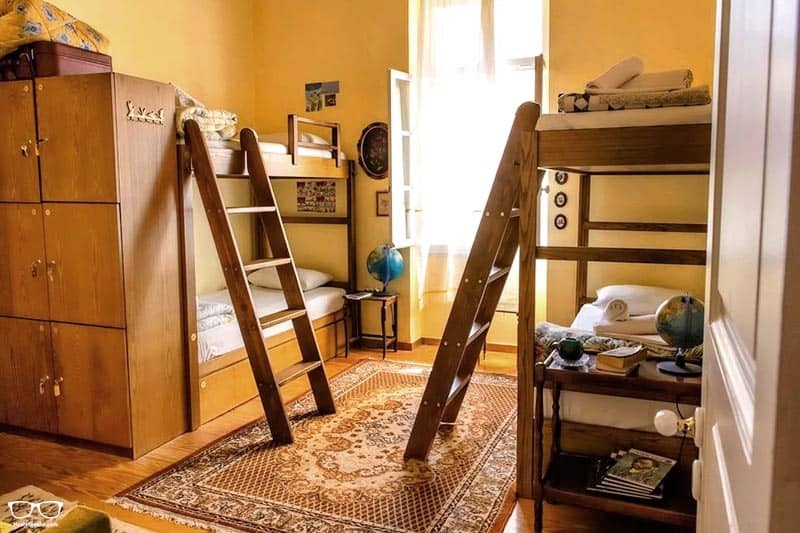 A private room in a hostel in Athens starts from 20€ up to 80€ per night. This is a rough average to give you an idea. As prices always depend on season and holidays. 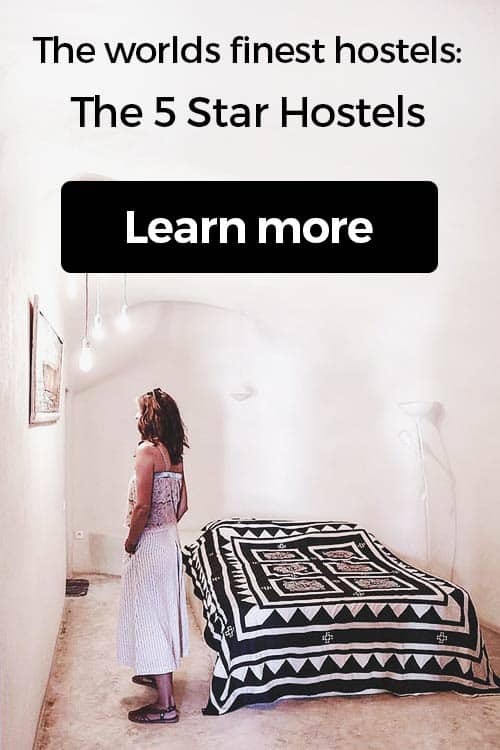 We always check exact rates on Hostelworld.com or Booking.com. Check-In and Check Out: The average check-in time is from 15:00 (3pm), while the Check Out time is before 11:00 (11am). Hostels usually offer luggage storage in case you arrive earlier or leave later. Make sure you check if luggage storage is free or if there is an extra cost at the place you are planning to book. Exploring the city: Athens is widely spread and there’s lots to see. We highly recommend joining a free walking tour which can be arranged through most hostels or via Athens Free Walking Tour website. It’s a great way to settle in and get your bearings! If picturesque views over the Acropolis from a private rooftop terrace sounds like your kind of thing, spend a night or two at City Circus. 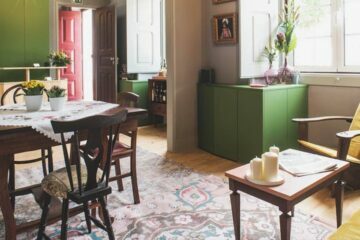 This quirky design hostel is pretty cosy, with plenty of character. 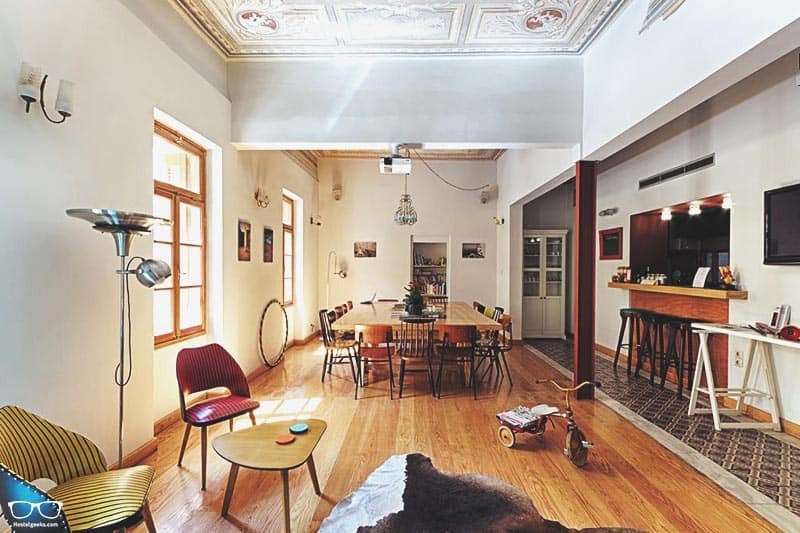 For us, this is one of the coolest hostels in Athens, no questions asked! 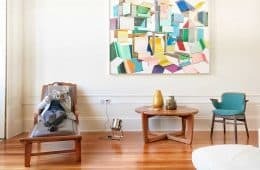 What was once a pretty standard building has been transformed with retro furniture, antiques and local wall art. The vibrant area of Monasteraki is just 5-minutes away so you’re in the heart of this vibrant city if you stay here. 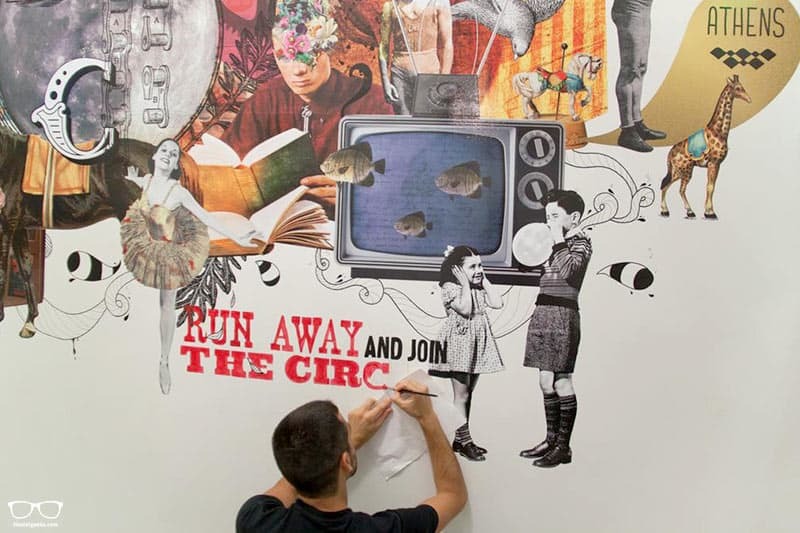 City Circus certainly comes up when the topic is about Boutique Hostels in Athens. No matter which you choose, you’ll enjoy a super-comfy mattress, individual lights and power sockets, plus that all important A/C. This is certainly a place to meet people – all you need to do is join one of the organised events, happening every night of the week. From happy hours and bar crawls to movie nights, you’ll surely be entertained. Feeling peckish? Head to the Zampano restaurant for delicious Greek cuisine and coffee. All guest are eligible for a 10% discount here! FYI: Breakfast is included for those that book directly via the website. 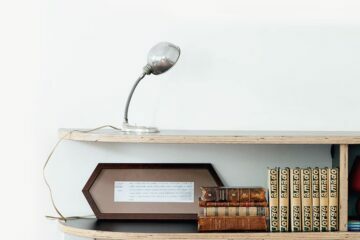 Book by any other means and enjoy breaky for a few extra coins. Here is a video, showing you around City Circus. 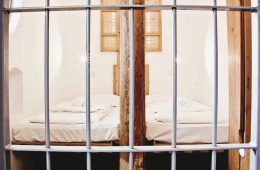 Judge for yourself, is this your Athens Hostel you want to stay at? Bed Station offers superb, spacious accommodation in the very heart of historic Athens. It’s not only the rooms that are spacious, but the hostel too. 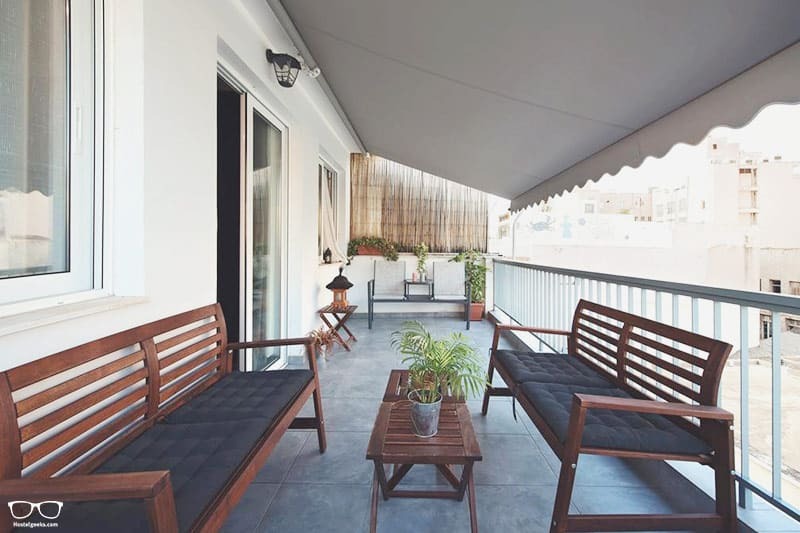 Just have a look at the wonderful balcony with yes, you guessed it; views of the Acropolis! 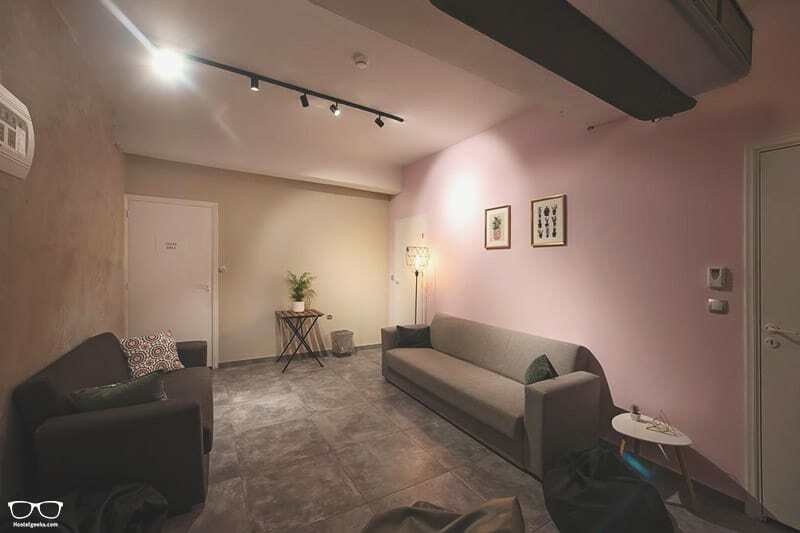 All this space makes it an ideal Athens backpackers hostel. 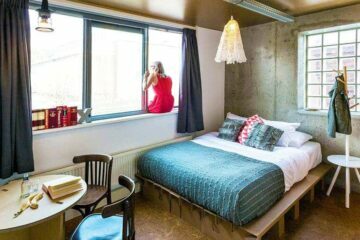 We reckon female solo travellers will love the female dorms here. Why exactly? There are even coffee machines in each room. What a wonderful way to start the day! Enjoy your breakfast on the traditional balcony before heading up to the rooftop for some fantastic views. Set over 5 floors, there is an ideal working space for the digital nomads out there, plus a shared kitchen. No doubt this is the choice for backpackers as there is plenty of space to relax and rearrange without treading on anybody’s toes. 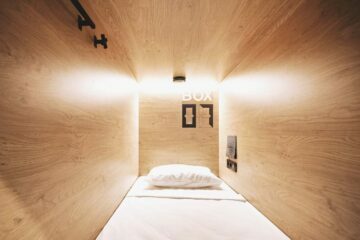 Last but not least we have the wonderfully modern Bedbox Hostel once again in the heart of Athens. Some of the best attractions such as Roman Agora and the National Garden are within walking distance. So, what can Bedbox entice you with…? The rooms are certainly worth mentioning. They’re spacious and well thought out for long-term travellers. Everyone gets their own box (lock included) to store belongings safely, and a privacy curtain to hide away on those anti-social days. We all have them! Not only is there a female dorm, but a male dorm too. 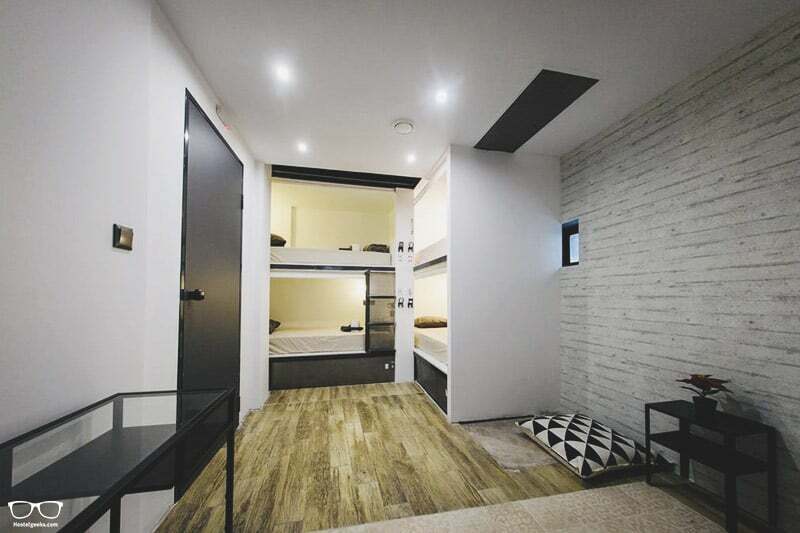 AND the 4-bed mixed dorm has double beds. We think this is super cool, and I’m sure our travelling couples will too. The front desk is open 24-hours which is great for late check ins and for those all important questions. Eager for one more, no doubt. We thought so, which is why we’d love to introduce you to Athens Quinta. 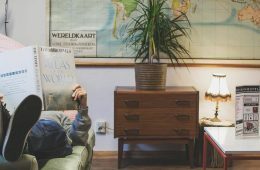 This gorgeous vintage hostel is decorated in unique artifacts and groovy furniture. Free breakfast, complimentary toiletries and a beautiful backyard await you here. The staff love to advise and have a chat, too! You’ll be located in the centre of Athens, but away from the tourist hub. Countless bars and restaurants are within walking distance. Ok ok, we know some of you love a good party so it would be rude of us not to include an awesome party hostel in Athens. 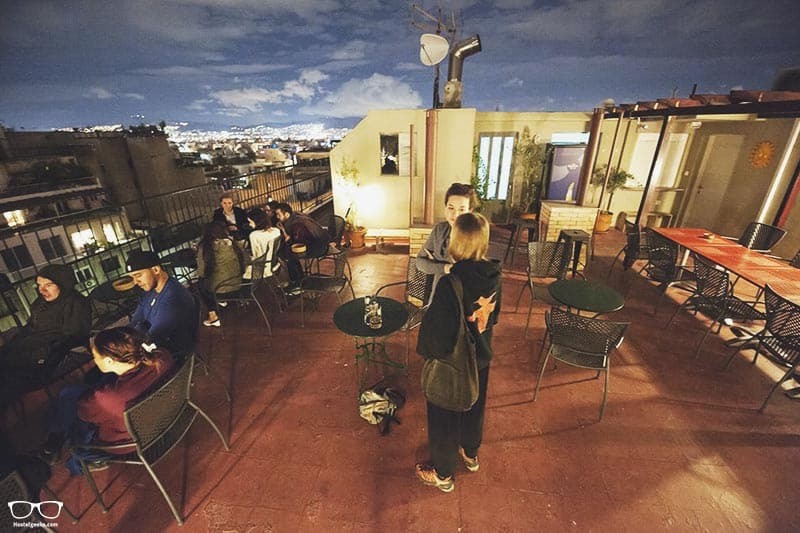 Perhaps you’re in search of an Athens hostel rooftop bar? Then you’ll certainly love Athenstyle. It’s open all year round, has heating and 360 degree views across Athens. Breakfast is available in the morning (for a few extra coins), followed by drinks, happy hour and special deals until midnight. Join the walking tour and make new friends and end the day in comfy, bright rooms. Dorms and privates are available. 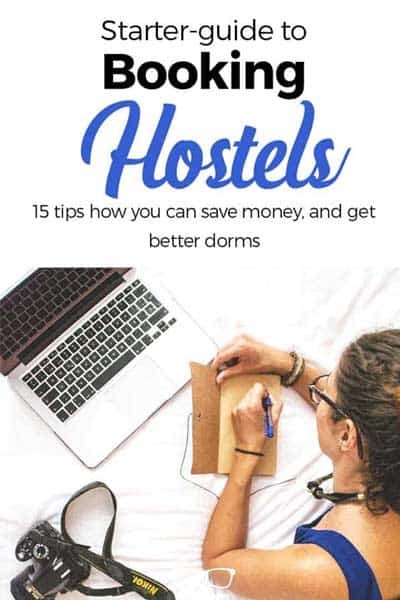 Of course, there are always cheap hostels. And certainly, you can find cheap hostels in Athens. Yet, we think, it’s not worth it to go with the cheapest hostel out there. 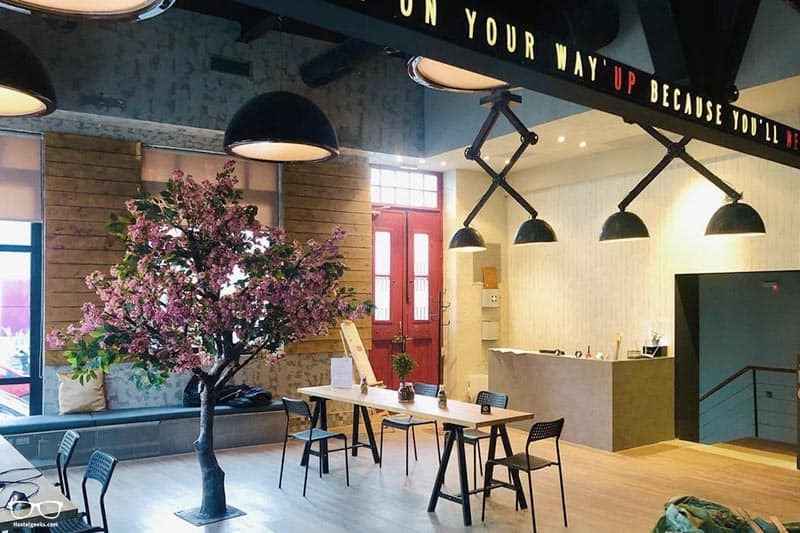 However, if you are traveling on a shoe-string budget and you wanna save every penny, there are ways to find where to stay in Athens on a budget. Yet again, make sure you check all the other costs like breakfast or extra transport. the list above highlights our top hostels in Athens, we will stick with them since you can expect a fun quality stay here. Currently, we have no special hostel discounts in Athens. We know, it’s a pity. 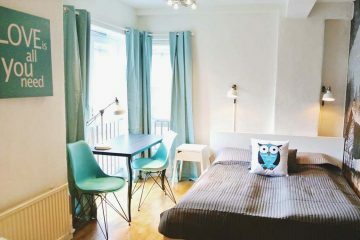 We also do have a 35€ discount for Airbnb here. 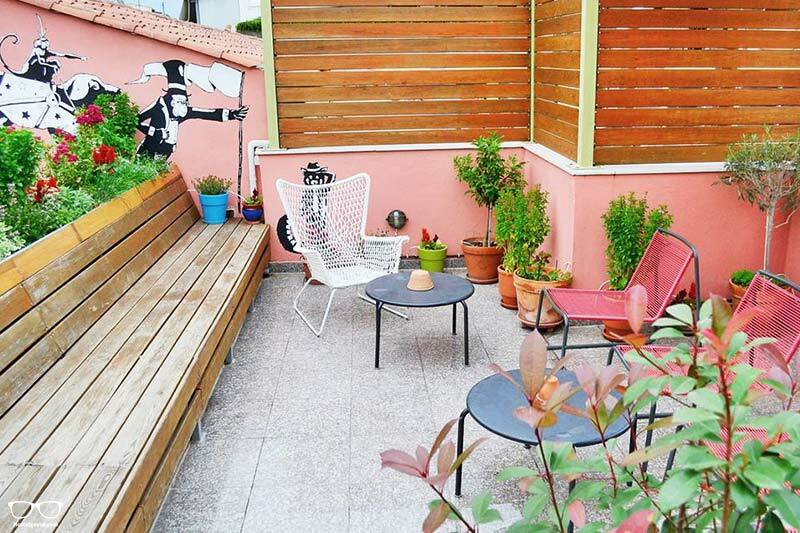 Airbnb Athens is an alternative to our awesome Athens hostels collection. Now it’s time to find your chosen hostel on a handy map. Or perhaps you want to see where they all are before you choose. 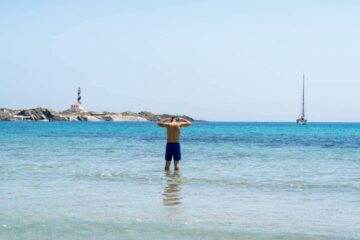 Discover more with the Athens, Piraeus and Beaches Hop-on Hop-off bus. 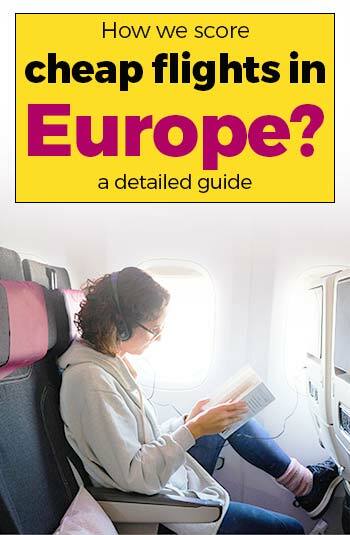 We enjoy Kiwi.com to find cheap flights all over Europe including Athens, London, Edinburgh, Barcelona etc. 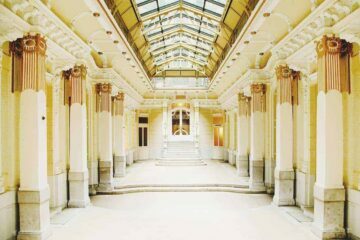 So there you go, we just introduced you to the 3 top hostels in Athens. Then please please leave us a comment. 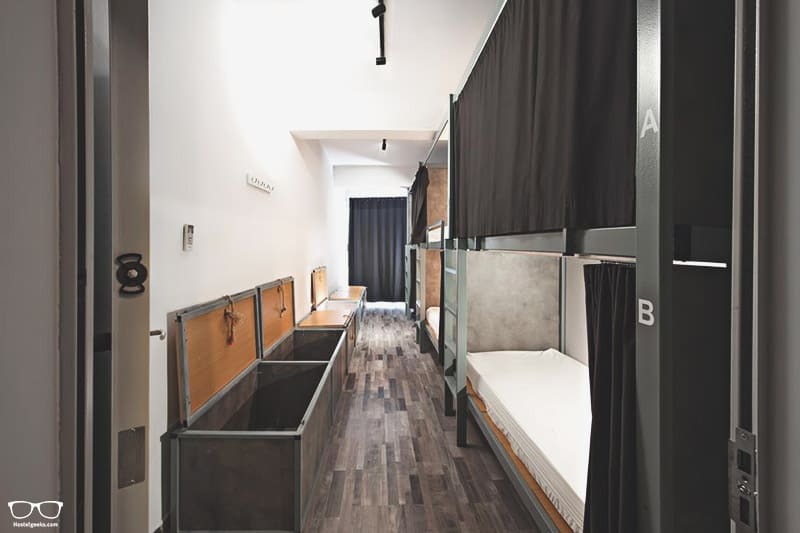 This list of awesome Athens hostels should be as informative and useful as possible. Your question(s) will help me to understand what I have missed to mention. You will have your questions answered and help with the overall feel of this article. Therefore, do not be shy, drop us a comment, we are always keen to help! 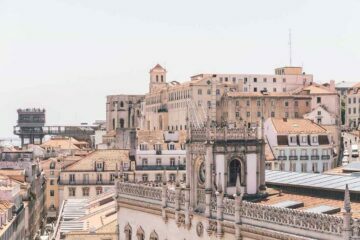 This is a genuine article to help you travel a bit smarter and find the best place on a budget! Hostelgeeks ONLY recommend places we know you will enjoy, no matter what. We will never recommend you any place we haven’t evaluated or are not convinced by. As walways, we only share with you places we also recommend to our best friends and family!